Instrument Pilot is the magazine of PPL/IR - Europe. You are viewing this site as a guest, so you will be able to see all old editions, but not be able to see the latest three editions which are only available to members. To download the latest magazines, please join or login first. 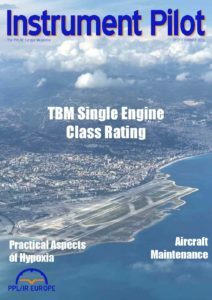 In this issue we read about the PPL/IR - Europe seminar on Standard Operating Procedures for single pilot IFR, one member's fly-out to Morocco, one member's project to rebuild a Seneca twin, detailed analysis of an IFR accident, discuss the anatomy of a TMA bust, hark back to the HO Wills Flying Scholarship plus the regular quiz, latest news and an update from the Chairman. ONLY AVAILABLE TO MEMBERS. To obtain a copy please join here. 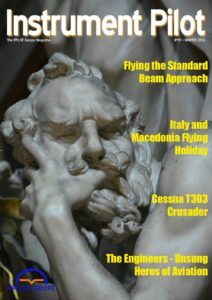 In this issue we read about the PPL/IR - Europe fly-out to Italy and Macedonia, one member's fly-out to Rothenburg ob der Tauber, one member's love for his Cessna Crusader, refresh on the Standard Beam Approach, receive an insight into our unsung heroes, our engineers, we introduce the Representation, Advocacy and Partnership (RAP) Working Group, plus the regular quiz, latest news and an update from the Chairman. In this issue we read one member's experience in obtaining the CBIR, learn how to choose a suitable alternative aerodrome, read one member's fly-out from Tarbes to Santiago, and another member's fly-out to Quimper, share some highlights from the recent PPL/IR - Europe fly-out to Gdansk, we introduce the Competence and Operations Working Group, receive a practical guide to 'breaking-in brakes', plus the regular quiz, latest news and an update from the Chairman. In this issue we read about the practical aspects of hypoxia, some lessons learned by one member for all our benefit, help you take that first step towards buying a TBM, part two into 'Owning and Maintaining an Aircraft, we introduce the Communications Working Group, share some notes from the recent Spring Conference and AGM, read about one member's fly-out to fair Verona, plus the regular quiz, latest news for instrument private pilots and an update from the Chairman. 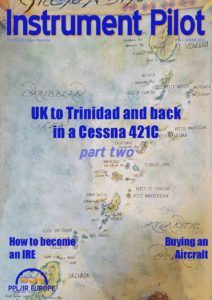 In this issue we read part two of one member's trip from the UK to Trinidad and back, we introduce the PPL/IR - Europe Working Groups, begin a series into 'Owning and Maintaining an Aircraft', help you take that first step into becoming an Instrument Rated Examiner, share some notes from the recent 'Airspace Infringements Awareness' course, plus the regular quiz, latest news for instrument private pilots and an update from the Chairman. In this issue we read about the recent fly-out tour of the Balkans, a reminder guide to hand propping, part one of one member's trip from the UK to Trinidad and back in a Cessna 421, notes from the recent PBN Conference, GTN tips and tricks, one member's review of a recent fly-out to Losinj, Croatia and the regular quiz, latest news for instrument private pilots and an update from the Chairman. In this issue we read about the Piper PA46 Malibu Mirage, study numerical weather prediction, a summary of the excellent Advanced Pilot Seminar and take the weekend off in the Isle of Skye Scotland. In this issue we read about the Beechcraft Bonanza, a report of our Spring Meeting, a weekend in Dresden and the second part of a longer trip from Montreal to Tiblisi. 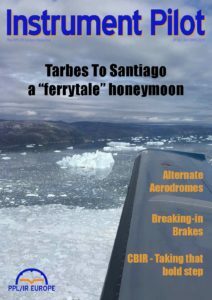 In this issue we read about the Diamond DA40, the Aspen Evolution 1000, a weekend in Alderney and the first part of a longer trip from Montreal to Tiblisi. In this issue, read about the Piper PA30 Twin Comanche, trips to Iceland and Croatia, and how anyone can get an Instrument Rating or what it takes to become an Instrument Rating Instructor. In this issue, we read about the Cessna P210N Silver Eagle, touring in Africa and meetings at Aeroexpo Friedrichshafen and the Spring Meeting/AGM. In this issue, we read about the Cirrus SR22, weekenders to Arnsberg and Mohnesee, the evolution of satellite navigation, part 3 of the series on cockpit weather and reflections on 60 years of private flying. 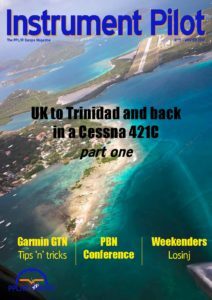 In this issue, we read about the Cessna 172, weekender trip to Chambery, contrast the progress of LPV approaches between US and UK, cockpit resource management and part 2 of our series on cockpit weather. In this issue, read about the Mooney M20M, unusual attitudes, weekender trip to Gleneagles in Scotland and a PPL/IR summer flyout to Heidelberg. 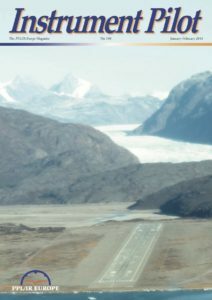 In this issue, read about the Grumman AA5, weekend trip to the Faroes to see the solar eclipse, a tour of whisky distilleries in the scottish highlands and our annual spring meeting. 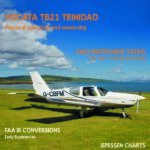 In this issue, read about the Socata TB21 Trinidad, flight training for an Instrument Rating, converting a FAA IR to an EASA IR, trip to Bologna, Italy and how Jeppessen Charts have changed over the years. 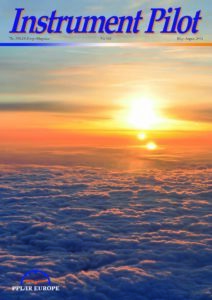 In this issue, read about trips to Colmar, France and to Kenya, the latest on EGNOS, training in obtaining the Instrument Rating (Part 1 of 2) and an ADL110 Flight Test Report. 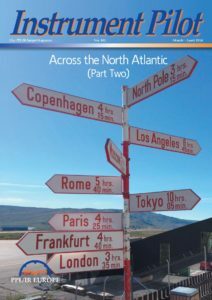 In this issue, read part 2 of an Atlantic crossing from Gloucester to Tulsa in a Cessna 421C and details of upcoming meetings and events. In this issue, read about regulatory changes affecting the future of the Instrument Rating, technical explanations of ADS-B/TCAS and a North Atlantic crossing from Gloucester to Tulsa in a Cessna 421C Golden Eagle. Earlier editions of Instrument Pilot Magazine can be downloaded from our magazine archive page.